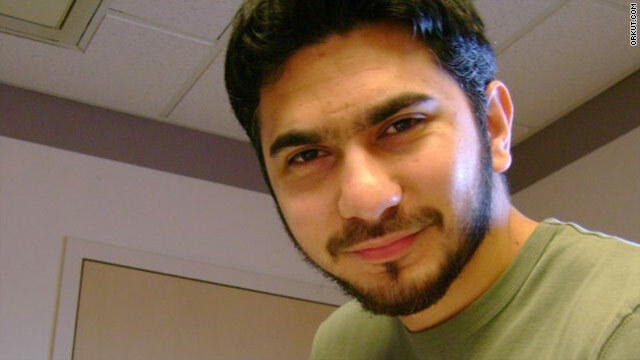 Detailed media reports might have prompted Faisal Shahzad's attempt to leave the U.S., NYPD Commissioner Ray Kelly says. NEW: Senator says suspect has waived his right to a speedy arraignment. New York (CNN) -- Times Square bombing suspect Faisal Shahzad may have headed to the airport on the night of his arrest after hearing media reports, New York City Police Commissioner Ray Kelly said Tuesday. Kelly told reporters that "before the individual was taken into custody, there was a lot of specific information about who we were looking for," and "there's some indication this information made the individual leave." Asked whether those leaks came from the Police Department, Kelly insisted they did not. "It makes no sense to me to give specific information that can warn someone that we're looking for them," he said. Shahzad had boarded a plane that was minutes away from takeoff when authorities arrived to arrest him. Kelly said the leaks were part of what he believes is an "inordinate amount of information given out by somebody" in the case, despite the fact that the investigation is ongoing. He declined to answer questions about Shahzad's alleged ties to the Pakistani Taliban, a connection that's been mentioned previously by Attorney General Eric Holder. However, during a conference for private security executives Tuesday, members of the New York Police Department outlined common threads Shahzad shares with other recent homegrown terror suspects. The main points are that he grew up in a middle class family and is believed to have been radicalized while traveling overseas to a conflict zone. Another common thread discussed is that suspects have turned to the Internet for religious guidance. Other homegrown terror suspects who were mentioned include Bryant Neal Vinas, Major Nidal Malik Hasan and Umar Farouk AbdulMutallab, all of whom were suspects in terror cases within the past two years. During the briefing, Mitch Silber, head of the police department's Intelligence Division, said it's clear radicalization is happening in America. Kelly, asked whether Shahzad fits the profile of a homegrown terrorist, said it's something being examined. "It's no easy template to fit everybody in," he added. He described homegrown terrorists as "unremarkable people, and then they make a decision to kill innocent people. Why do they do it? That's the $64,000 question. We are trying to figure it out." Shahzad has not been arraigned since his arrest last week. Kelly said he continues cooperating with investigators, adding, "In the federal system, you can waive [your rights] not to be arraigned. Apparently, he has signed agreements that allow that ... to go forward." In Washington, Sen. Dianne Feinstein, D-California, told reporters after a classified briefing on the case Tuesday that Faisal Shahzad has waived his right to a speedy arraignment. "That, of course, suggests he's continuing to provide valuable information to authorities," she said.